The NICM’s business partner sent to jail for importing Rhino horn into Australia! In the traditional Chinese medicine (TCM) world all ‘treatments’ are effective, including rhino horn and other endangered animals, as opposed to the modern scientific world in which very few, if any, of these TCM modalities are effective. However, the main aim of the National Institute of Complementary Medicine (NICM) is to ‘integrate’ all of these pseudoscientific healthcare systems (TCM, acupuncture, homeopathy etc.) with modern evidence-based healthcare. This is very worrying to say the least. I can also confidently predict that this drive to ‘integrate’ these two opposing worlds will sooner or later be reflected in a new name (again) for the NICM. Because of the NICM’s true belief in the pseudoscientific basis of TCM (or maybe the prospect of tapping into the $170 billion TCM market), Western Sydney University approved a thesis in 2008, where rhino horn was being promoted as “remarkably” better for the treatment of vascular dementia as compared to a control group. The critique that I had on this thesis, was that they should have given this aspect a critical scientific appraisal, which they completely failed to do. I thus labelled this thesis as nothing more than promoting Rhino horn as effective medicine, and hence, they are contributing to the sharp rise in rhino poaching. The supervisors of this thesis might claim that it was a simple oversight or that the external reviewers failed to pick up on this issue. Or they might even claim that they did not know about the controversy surrounding the use of Rhino horn. But I strongly doubt this. This is a simple example of their true (make)belief in the magical medicinal powers of rhino horn and all other TCM therapies. So I dug a bit deeper and found the proceedings of a symposium held in Sydney in 1997, with the title “healthy people, healthy wildlife”. This symposium dealt exclusively with the use of endangered species as medicine in TCM. The supervisor of the above mentioned thesis was also present and gave a presentation; “Responsible use of TCM”. Below is a couple of excerpts from the proceedings (you can find the full proceedings here). Actions: Clear heat, subdue Yang and cool blood, relieves fearfulness, detoxifying. Indication and application: High fever, sun stroke, trauma, mania, convulsion, sore throat, epilepsy, febrile disease, infectious disease, macula, bad skin conditions, subcutaneous bleeding. As the horns from rhinoceros, antelope and Buffalo (SHUI NIU JIAO) shared similar chemical compositions and amino acids, especially keratin, it has been proved that buffalo’s horn used as a clinical substitute for rhinoceros’ horn and antelope’s horn is therapeutically effective. “At a recent conference in Hong Kong there was opportunity for practitioners and traders to express concerns related to the use of endangered species. It is worthwhile looking at these comments briefly. Some sentiments that I have heard expressed in Australia are also reflected in the comments of a TCM academic in Hong Kong: “The dilemma faced by TCM users, however, could only be better appreciated if we can step into their shoes and then make judgements if we ourselves or our beloved ones are suffering from ailments that modern medicine offers little or no help whereas products from these animals may offer relief”. “TCM nature: Salty, sour and cold. Actions: Clear heat, subdue Yang and cool blood, relieves fearfulness, detoxifying” – clearly TCM is a pseudoscience, and clearly, the NICM truly belief in all of it! Although this conference discussed the use of substitutes in place of endangered animals, and the use of the latter is quite clearly rejected, there seems to be strong resistance coming from TCM practitioners and retailers. They truly belief that Rhino horn is an effective, life saving medicine and that it cannot really be substituted by anything else – and so does Alan Bensoussan. Replacing rhino horn with any other horn would be equivalent to admitting that it doesn’t really work – and this is unacceptable in the TCM world. Granted, they all agree that endangered animals need to be protected, but there is however one important aspect that you will not find in the symposium proceedings. And that is the extremely important question that most members of the public would ask; ‘are any of these endangered animal parts truly effective for the treatment of any disease?’. As a scientist you might add ‘where is the scientific evidence that rhino horn is a life saving medicine for the treatment of infectious diseases etc?’ or ‘what is the mechanism of action of rhino horn and specifically keratin?’ etc. etc. Surely, these aspects should at least be discussed and TCM practitioners should be educated accordingly? In general, you first need to provide scientific evidence and then only can you go and sell your medicine! These questions aren’t even being asked, mentioned or discussed and this again proves that in the TCM world everything is active. It is a given! The person who dares to question the effectiveness of a specific TCM modality, in effect, questions the pseudoscientific principles of TCM. The implication of this, especially for the NICM, will be that they weaken or even lose the opportunity to tap into the $170 billion TCM market. This market only exists for the true believers and thus the NICM will not risk being exposed as a semi-or non-believer. Asking these type of questions makes you suspect! In the TCM world (and the NICMs world) rhino horn is thus seen and promoted as a life saving medicine for the treatment of just about anything, from sunstroke to infectious diseases! So why didn’t the NICM add one or two sentences in the thesis published in 2008 about the use of the excepted substitutes in place of rhino horn? Because it is too risky! They run the risk that TCM practitioners might see them as implying that rhino horn is ineffective and that it can or should be replaced by your fingernails. One can argue that the symposium was held 20 years ago, and that the NICM has since changed their tune, but unfortunately this doesn’t happen with pseudoscientists. One tell-tale sign of a pseudoscience is its inability to progress. And again, we have a person linked to the NICM who tried to BS officials. One would think that Alan as a ‘honest scientist’ would try his best to explain to Mr Yu that TCM is based on pre-scientific ideas and that it is a belief-based healthcare system, and as such, is dangerous not only for people but also for (endangered) animals (they are currently skinning donkeys alive in Africa for the TCM market) – but, no, this will apparently never happen because the NICM and Mr Yu is still working together. At the end of the day this has nothing to do with science but, as usual, it has everything to do with money. And the NICMs perseverance is starting to pay off! In the last year or two the NICM has received in excess of $15 million dollars with the most notable single donation from the well-known Australian complementary medicine company, Blackmores. Because Blackmores also want to tap into the $170 billion TCM market it paid the NICM on a consultancy basis to assist in their ‘Blackmores TCM Development Program’. Problem is, the only way to tap into the TCM market is to be a true believers, and that includes supporting the notion that rhino horn has remarkable life saving medicinal properties. Wouldn’t it be nice if a large company like Blackmores make a small donation towards the rhino conservation effort? After all, it is quite dangerous and expensive, some might say futile, to keep all the poachers at bay who feeds the pseudoscientific TCM market that the NICM, WSU and Blackmores supports, promotes, and wants to exploit! The bureaucracy involved is extremely complex, so the best thing to do is to stop using their products and treatments – e.g. prevention. Inform yourself and your family and friends about how these people play their game and what the dangers are, regarding these ‘treatments’. ‘Friends of Science in Medicine’ provides valuable healthcare information as well as the website of Prof Edzard Ernst, where he discusses everything complementary medicine (what works and what doesn’t). If you are interested in receiving automatic updates regarding the NICM and what they are up to, you can always follow my Blog, Twitter or connect on LinkedIn. I have also started a FaceBook page where I regularly post contents regarding the NICM, and complementary medicine in general (@CompleMedQuacks). 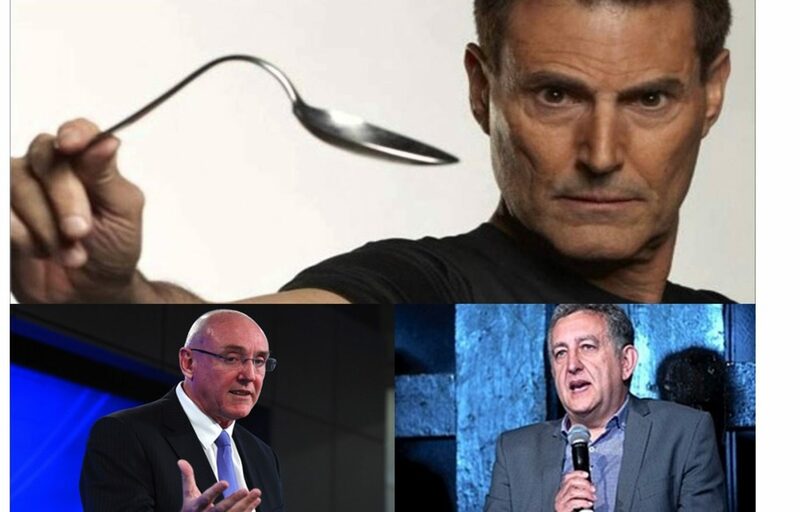 Will keep you posted regarding the outcome of the 2017 Bent Spoon awards (the NICM has again been nominated), and please, ‘Like’ and share this article via FaceBook etc. – see options below. Previous PostPrevious Endangered animals as homeopathic medicine for the treatment of loneliness. A new approach to save the Rhino. Next PostNext Money, not evidence based science, makes the world go round. The CM industry partnering with media outlets – the logical next step?